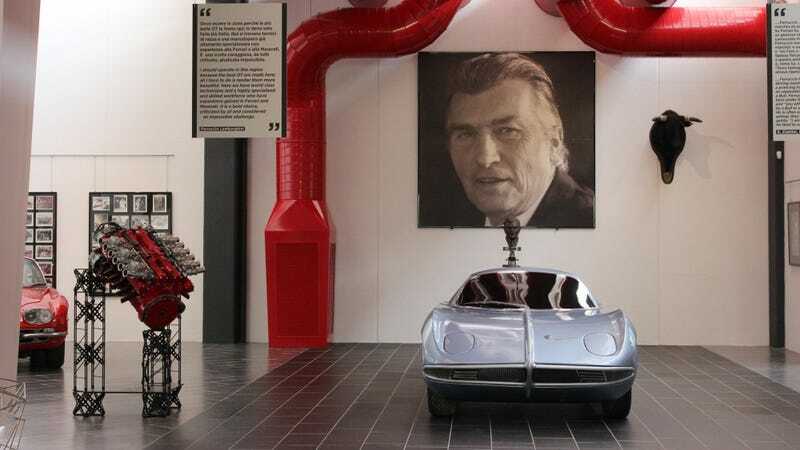 This is the Lamborghini story like you’ve never heard it before: from the son of Ferruccio, Tonino Lamborghini, the kid sitting at the dinner table. If you’re in the Bologna area, you must visit the Ferruccio Lamborghini Museum. It was set up by Ferruccio’s son, who started collecting his father’s tractors and cars back in the day despite the fact that his old man thought he should be working instead of collecting old stuff. But as more and more vehicles ended up in the warehouse, Ferruccio started to spend more time in there as well, smoking cigarettes and enjoying the past. Most people know Lamborghini started making cars using his tractor company money because Enzo Ferrari was rude to him, but there’s a lot more to that story. Ferruccio had two Ferraris, but when he couldn’t race the locals because his clutch gave out, he went to Modena with an idea for a solution instead of just to complain—Ferruccio used a clutch from one of the tractors as a replacement. But Enzo wasn’t going to listen to a tractor maker. Clelia Monti, Ferruccio’s first wife, was the one running the books. She didn’t think the car idea looked promising and the banks agreed with her. But Ferruccio was done spending money on advertising tractors. He wanted to build another factory instead, and make some noise there that he hoped would reach the farmers too. To beat Enzo, he hired the best in the business like Giotto Bizzarrini and Gian Paolo Dallara, and gave very clear instructions on what he wanted from the engineering department. And when he didn’t like the results, they just had to work harder. 2016 marks Ferruccio Lamborghini’s 100th birthday, and the company is going to reveal an Aventador-based limited edition car to celebrate the occasion at the Geneva Motor Show. Ferrari will try to compete with that with a facelifted family car.